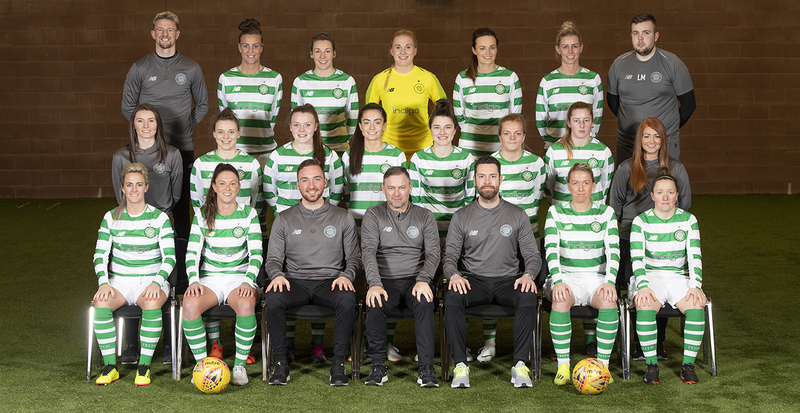 While Celtic FC have an illustrious history filled with over 130 years of remarkable tales and records, Celtic FC Women are still in their infancy as they move into a new chapter ready to write their own history. With a new and exciting era underway at the club with the start of the 2019 season signalling manager Eddie Wolecki Black’s first full year with the club and a move towards professional status, there has never been a more exciting time at the club. Celtic FC Women’s team was established in June 2007 and immediately took its place within the Scottish Women’s Premier League. Having reached the Scottish Women’s Cup Final in their debut season, the team went on to secure their first silverware within two years, winning the 2010 Scottish Women’s Premier League Cup. Celtic’s ambition to become one of the top teams in the country has ramped up a notch over the past few seasons with the side reaching the SWPL Cup Final in 2017 and 2018, bringing in the new manager and transitioning to full time, further success is the aim. Celtic Women’s team offers female players the opportunity to play an intrinsic role within one of the world’s greatest football clubs. With a fresh talented squad that is built on a blend of experience and youth, 2019 promises excitement and competitiveness. The club provides an intense and structured training program for the Celtic FC Women’s team running out of Lennoxtown and Barrowfield, focused on player improvement and development, to provide the best opportunity for footballers to play at the highest level. Overall fitness, strength and conditioning and rehabilitation all form part of the technical training program, which is fully supported by an expert backroom team. The professional coaching staff and medical team work alongside a dedicated sports scientist and performance analyst to ensure our sessions are delivered with acute attention to detail, and to the highest of standards. Off the park, Celtic FC Women’s team is fully integrated within the work of the club as a whole and players are involved in a wide range of official club events and activities including access to the team’s private executive box at Celtic Park for men’s first team games, involvement in club promotions like kit launches, and the chance to win Women’s Player of the Year at Celtic FC’s prestigious, annual Player of the Year Awards. The club aims to create the best possible environment for CelticFC Women’s team players. The women’s game is moving forward at a relentless pace and Celtic Football Club is at the forefront of this progression in Scotland.